Morris hides the money and the notebooks, and then he is locked away for another crime. Decades later, a boy named Pete Saubers finds the treasure, and now it is Pete and his family that Bill Hodges, Holly Gibney, and Jerome Robinson must rescue from the ever-more deranged and vengeful Morris when he’s released from prison after thirty-five years." I must say that I enjoyed Finders Keepers much, much more than I enjoyed Mr. Mercedes. Gone is Bill Hodges lugubrious self pity which morphs into grief. Almost gone is the caricature of a black character known as Jerome. Finders Keepers develops new characters who are much more interesting and real while keeping Hodges, Jerome, and Holly Gibney moving right along. There is not much new in the way of development for the old characters except we find out that Holly is now fighting the mental illness that constrained her for so many years. Hodges is quite successful as a private detective and enjoying life. Jerome has moved onto college (thank God) and isn’t in the book much. When he’s in the book, he does very little of the jive talkin’ that irritated the hell out of me in Mr. Mercedes. I love the villain who is a well read, philosophical born of an intellectual and middle class family who is just a no good loser. No caricature there. He’s well spoken, but morally depraved. While other criminals kill for money, he kills for literature. I love it! Mr. Mercedes got way too bogged down in Hodges emotions. The story was slow to get going and slowed down too frequently. That is not the case with Finders Keepers. The story is lively paced. Even the character backstories that sometimes slow King’s stories are rich. 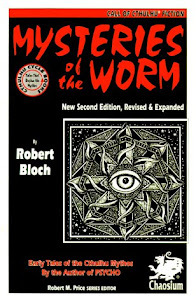 The trip through Morris Bellamy’s life makes his character and is interesting to read. The verbose King pares down the prose in Finders Keepers to tell a sleek, well-honed story. But what of Brady Hartsfield – the brain damaged killer who uses and upscale motorcar to mow down the unemployed and downtrodden? King hasn’t forgotten him and neither has Bill Hodges. He’s still very much on Hodges’ mind and Bill visits him in the hospital weekly. While Brady plays the slobbering gork bit quite well, King leads us to believe it is very much an act. Brady Hartsfield is very much aware of what is going on around him and maybe has developed some new abilities after being hit with a sock full of ball bearings. My chief complaint about this book is that it does not advance the overall story at all other than give us hints about Brady Hartsfield’s condition. 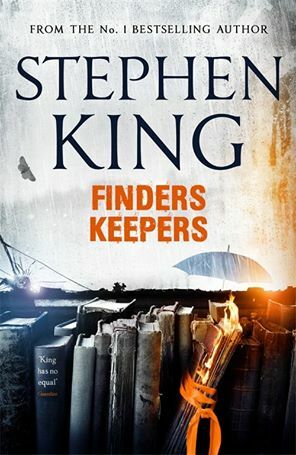 Finders Keepers could be read as a stand alone novel and enjoyed by those who’ve never read Mr. Mercedes. That is not necessarily a bad thing. But King left us with the impression at the end of Mr. Mercedes that the story was going to be Bill Hodges and the gang versus the evil force of Brady Hartsfield. That story is not advanced one iota. That criticism aside, Stephen King reminds us that there is much more to him than monsters and things that terrify us. There is nothing supernatural about the story in Finders Keepers. It’s entirely mainstream. A friend of mine who teaches English told me he found King horror stories to all be based on the same formula. However, when King left the genre and told a mainstream tale like he did in Misery, Different Seasons, and others, he was at his best. I don't agree with that assessment, but King can and does write strong mainstream fiction. I’m quite certain that I would not count Finders Keepers as one of his best and would not put it in the same league as Misery and Different Seasons which were both absolutely brilliant. 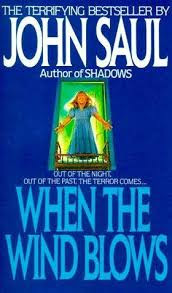 It is, however, a very good book that King fans will love and those who do not read King on a regular basis will enjoy. I loved. Morris was so alive. Cant wait too see what is gonna be with Brady.